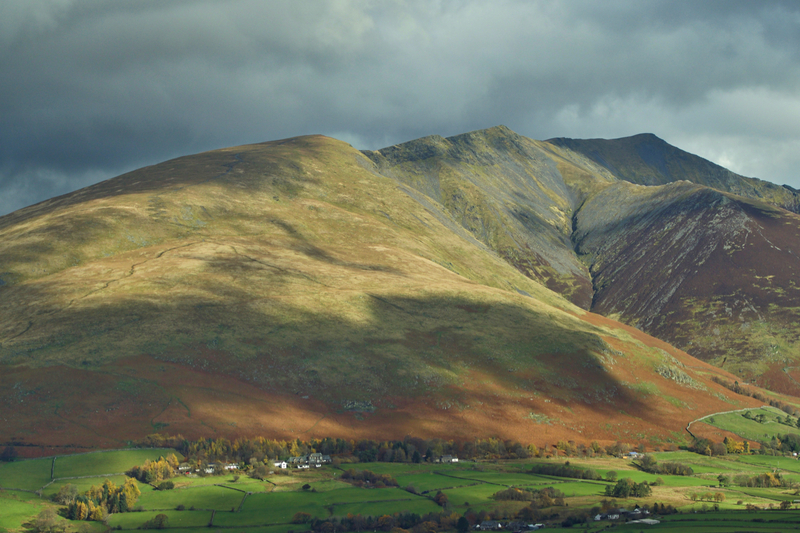 Blease Fell is said to be the easy way up Blencathra. Starting from the Blencathra Centre, the complex of slate buildings bottom left in the photo, it is at first a seemingly relentless climb but then follows a pleasant ridge to the highest point at 868 m or 2,848 ft in old money. The Blencathra Centre is a Field Studies Council residential centre. Originally it was a sanatorium for the treatment of tuberculosis or consumption as the disease was then known. When it opened in 1904 TB was a serious health problem, for which the recognised treatment was fresh air and clean water both of which were in abundance high on the fells. Furthermore, it had been known since the 1880s that the disease was highly contagious so another reason for the isolated location of sanatoria. We now know of course that TB is caused by the bacterium Mycobacterium tuberculosis and treatment is by antibiotics. Coincidentally, the first annual meeting of the Cumberland Branch of the National Association for the Prevention of Consumption and other forms of Tuberculosis, which was responsible for the building of the sanatorium at Blease Fell was held in 1900. Canon Rawnsley who gifted Peace How, the subject of yesterday’s post was one of the attendees.